Third St. will be closed between Marquette Av. and Tijeras Av. 3rd St. from Marquette Av. to Central Av. Central Av. from 3rd St. to Lomas Blvd. Laguna Blvd. from Central Av. to Kit Carson Av. Kit Carson Av. from Laguna Blvd. to Alcalde Ct.
Alcalde Ct. from Kit Carson Av. to Tingley Dr.
Bernalillo County Sheriffs at Laguna and San Cristobal to allow traffic to cross E to W to Lomas and 2nd St.
APD Officers will be controlling traffic at intersections, and if you must cross the race course, please ask for an Officer’s assistance. Officers are authorized to permit the crossing of vehicles whenever possible at the intersections of Laguna Blvd. and Park Av., and San Pascuale Av. and Chacoma Place. To facilitate the commute Sunday morning, 2nd Street will remain open for North/South traffic and Lomas Blvd. will remain open for East/West traffic. Access to I-25 is available on Lead Av going South and on Lomas Blvd. going North. Please come early to park in order to be at your Start Line at least 30 minutes before your race. Thanks to the City of Albuquerque Parking Division, we have access to the Convention City Parking Structure (enter from Broadway to Dr. Martin Luther King, Jr. Blvd.) for a fee to be collected as you exit, with no in and out privileges. Also open from 6 a.m. is underground parking at Civic Plaza, accessible through the Marquette Av entrance, fee collected as you exit. There is on-street parking on all numbered streets north & south of Lomas Blvd and the Wells Fargo Parking lot. 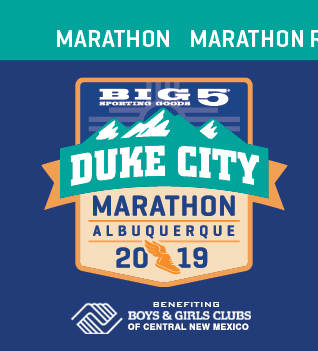 There is NO ACCESS to the Albuquerque Convention Center on Race Day, October 20, either from the parking structures, the DoubleTree Hotel or Third St. Please use portable toilets on Third St. south of Marquette.